Los Angeles producer DeVault just dropped one of the best Ep’s of the year. The 8-track Stay is a true work of art. If Stay was considered a full album, we would rank it in the top 10 of the year. Ranging from gritty and raw instrumentals to emotional R&B ballads and unique sound design, Stay is in a category of its own. Lead single “Stay,” featuring Njomza and Bipolar Sunshine, sets the tone for the entire EP by showcasing Bipolar’s vocal prowess over DeVault’s crisp sound design. “Tell Me That You Tried” is an instrumental masterpiece, giving readers a sense of cinematic landscapes. “Nothing But You” features an atmospheric summer vibe, almost reminiscent of the 1960’s. “Between The Words” is an unexpected crowd-pleasing experimental single. Heavy and deep synths mixed over nostalgic emotional vocals, a true recipe for success. DeVault proves he is a rising star. This EP cements his role as a young pioneer upsetting the status quo in the ever-changing landscape of dance music. If Stay is any indication as to where electronic music is headed over the next few years, we’re in great hands. 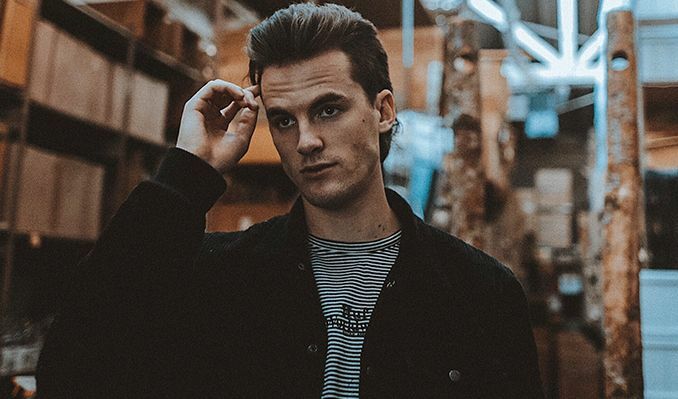 Listen to DeVault’s debut EP Stay below.